In a collaborative effort joining 2 great American paddling families, Werner Paddles brings kayak fishing performance in a great new color scheme. 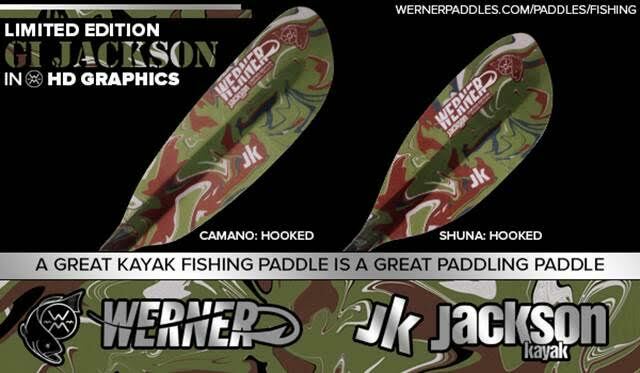 Introducing the “Jackson Kayaks-Limited Edition” Hooked kayak fishing paddle. Introducing their new HD Graphic process this past September, with their new “Trophy” and “Catch” options, the Jackson Kayaks-LE will now also be available on the Shuna and Camano: Hooked models. 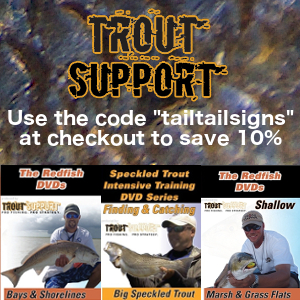 The graphic is taken directly from the “GI Jackson” color scheme, Jackson’s most popular to date with anglers. The philosophy of a “Great kayak fishing paddle is a great paddling paddle,” remains the core of Werner’s line focusing on performance and craftsmanship. However when you can match that with looking good and having fun, everyone is winning. Authorized Werner Paddle’s dealers will start stocking the new model starting immediately.